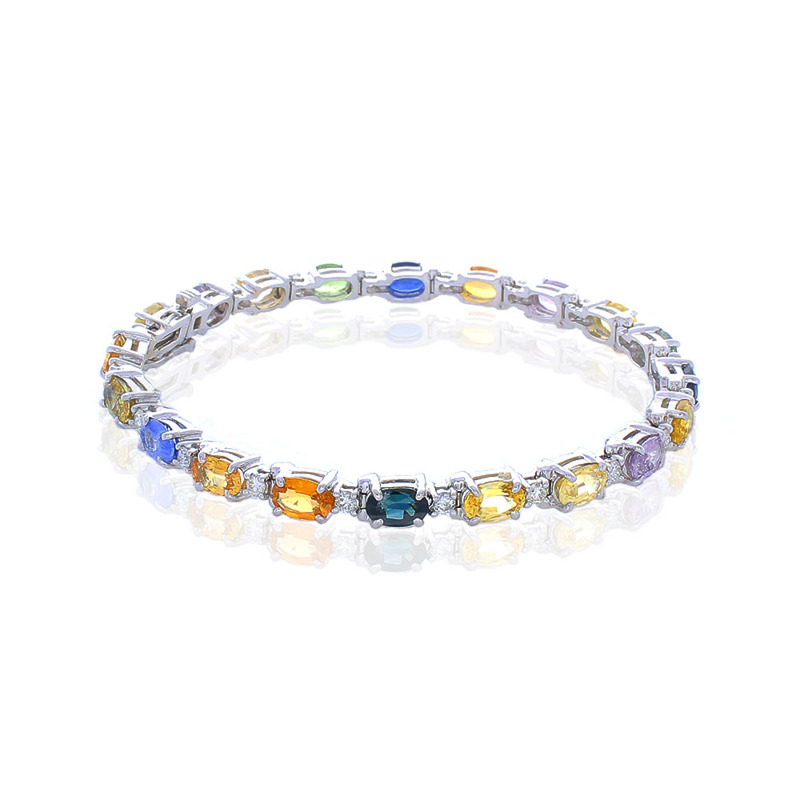 The colors in this natural sapphire bracelet make it one to be remembered. A total of 20 oval cut, prong set, sapphires that measure 6x4MM each and weigh a total of 11.72 carats adorn this stunning bracelet. The sapphires are sourced from Sri Lanka; their colors, clarities, and transparencies are excellent. The color are royal blue, lilac, golden yellow, blush green, and intense orange. Each sapphire alternates with 20 sparkling round brilliant cut diamonds that total 0.84 carats and measure 2.20MM each. Designed in rich 14 K white gold, this vibrant bracelet closes securely a hidden slide clasp and safety latch and is the perfect selection for those who adore what the world of colored sapphires can display.